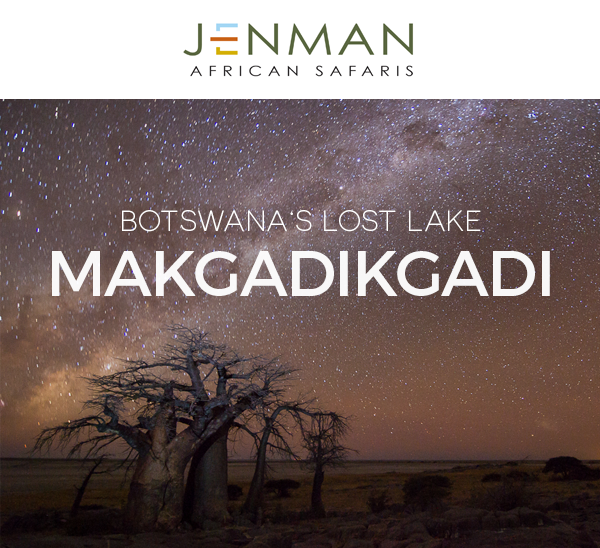 Approximately 2 million years ago, Lake Makgadikgadi was formed in what is now the Kalahari Desert in Botswana. This vast lake is estimated to have once covered as much as 80, 000 km² and was 30 m deep, all fed by the Okavango, Zambezi and Cuando rivers which once emptied into its enormous basin. As the millennia passed however, 20 000 years ago the lake filled to capacity and proceeded to overflow into the valleys below. The waters began to drain northwards and then eastwards forcing the middle and lower Zambezi Rivers to connect, forging the mighty Victoria Falls into existence. 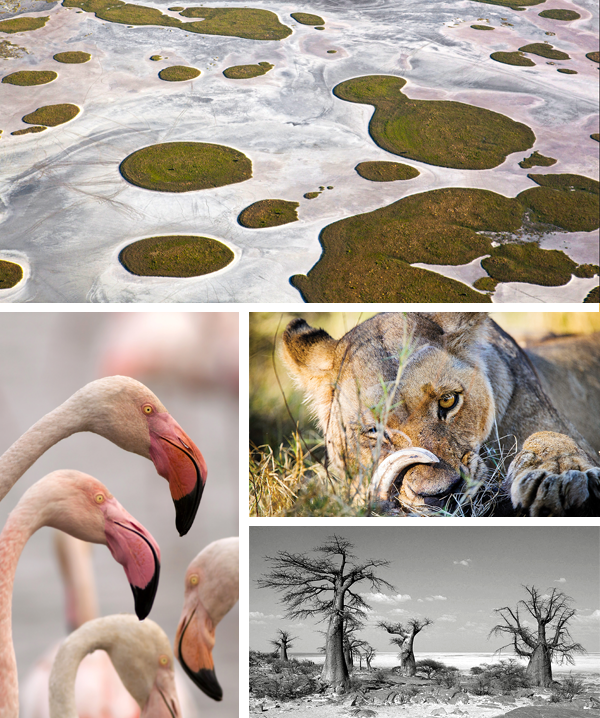 With the water now able to escape from the basin coupled with a drier climate, the once impressive Lake Makgadikgadi started to slowly disappear, draining slowly over time until it eventually evaporated into the sparse salt pans we know today. Although one of Africa’s greatest lakes was lost, this evolutionary transformation left behind unexpected beauty and riches for those who choose to navigate is vast white expanse today. From horseback riding or quad biking across its pans, to standing amongst ancient giants on Kubu Island, Makgadikgadi is a trip of a lifetime. 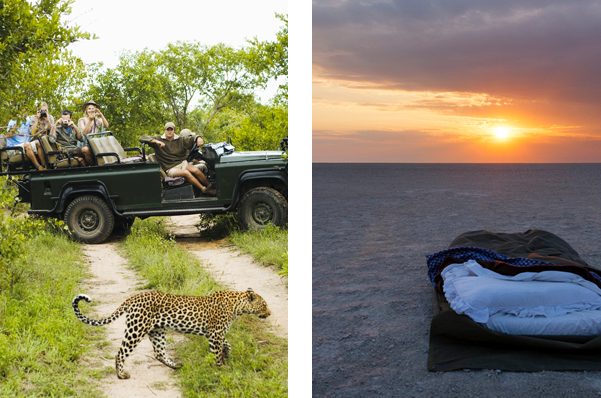 Experience Makgadikgadi for only $ 4,450.00 on our Intimate Botswana and Zimbabwe Encounter tour. Time is running out to save an incredible 10 % on our most popular Botswanan Guided Group tours, including the Botswana Wildlife Breakaway, Botswana Lodge Explorer and Botswana Untouched. Book before 15 July 2017 to take advantage of this great discount! • Validity: For bookings made from 15th June – 15th July 2017. • Payment Terms: Normal terms and conditions apply. • For travel from 01 July 2017 – 31 December 2017. • The 10% discount per person tour price on our Botswana Wildlife Breakaway, Botswana Lodge Explorer and Botswana Untouched Tours - Excludes all other Southern Africa, East Africa, Madagascar scheduled tours, tailor-made, private guided lodge safaris and packages. Being able to travel around the world on the US Dollar certainly has its advantages due to a favourable exchange rate, but there are places in Africa where you can make your money go even further than it did before. Whether it’s because of a weak currency, the low cost of living or even a combination of the two factors, travellers can take advantage of these travel opportunities to really save. We’ve listed five top travel destinations for your client's to consider if they are looking to have an amazing, yet still affordable, African safari holiday! 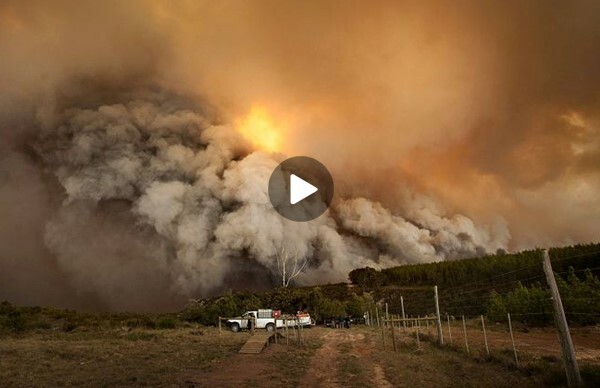 The best solution to assist the towns of Knysna and Plett to get back on their feet in this time of need is to continue to visit the area! The biggest problem with a disaster such as this is that tourism automatically takes a massive dip, adding further suffering to an already unfortunate situation. By visiting the area, spending money in their shops, restaurants and at tourist attractions, you can help to keep their economy going. As a responsible and sustainable tourism operator, Jenman African Safaris has always supported local businesses and initiatives which is why we are encouraging our agents to inform their clients on the importance of visiting the Garden Route, now more than ever. Clients can still enjoy all that the Garden Route has to offer whilst contributing to the rejuvenation of the area on our popular World in One Country and Wonders of the Garden Route tours. Jenman African Safaris is a very proud longstanding member of Pack for a Purpose, a successful global initiative that provides the opportunity for travellers to make a positive contribution on their trip. Each of our clients receives a Pack for a Purpose wish list before they depart on their holiday, explaining exactly what stationery items are needed at Dingani Primary School so they choose if they’d like to pack them in their luggage to take with. It’s been incredibly heart-warming to watch how many of our valued clients have seized this opportunity and ran with it, really going above and beyond to supply Dingani’s young school children with desperately needed supplies. Just to give an idea of how successful this initiative has been, in the past few months, we have received almost 60 kg worth of goods for the students. With some clients even sewing handmade colourful pencil bags for the children. 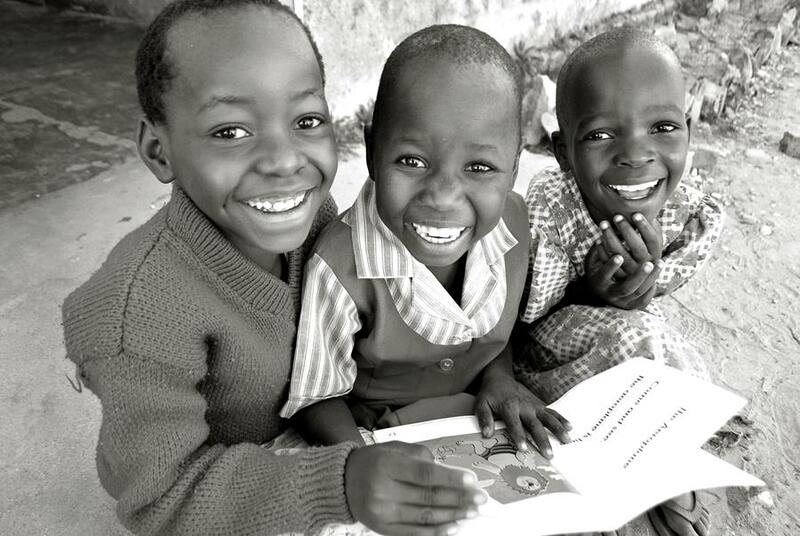 The team at Jenman African Safaris is extremely appreciative of our clients’ contributions and would like to thank all who have contributed to date in supporting these young children in their education! If you are interested in having a look at the Pack for Purpose Wish List and to perhaps encourage your clients to pack some stationary in their travel bag, click below for all the details. Please take note of an error on the Botswana Untouched 9-day Departure Dates for 2018. The dates affected include the departure of the 17.03.18 tour and the end date for the 16.10.18 tour. Please ensure that you download the updated itinerary from our agents portal here.